Minimum order quantity: 4 capsules. The Nu capsule is the most basic modular building block which includes the permalloy shielded pickup and integrated preamplifier. 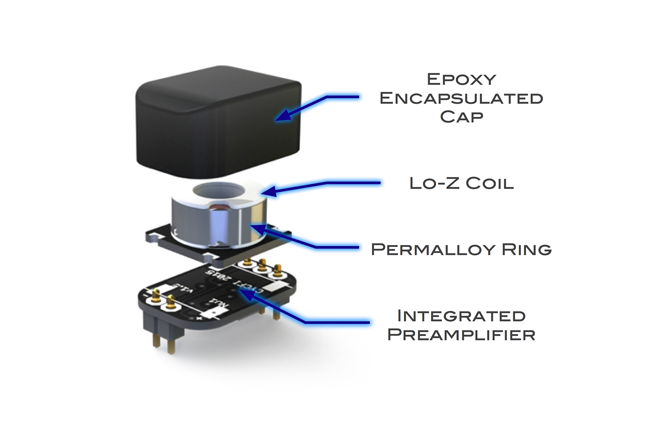 The Nu capsule is intended to be PCB mounted and includes a 5-pin 2mm pitch header connector that can be directly soldered to a PCB, or mounted to a corresponding female header. The Nu Series Modular Active Pickups are hacker friendly, general purpose pickups that can be used in a variety of applications. These are active multichannel pickups with low impedance coils and integrated single-ended, low-power, low-noise preamplifier for each coil. 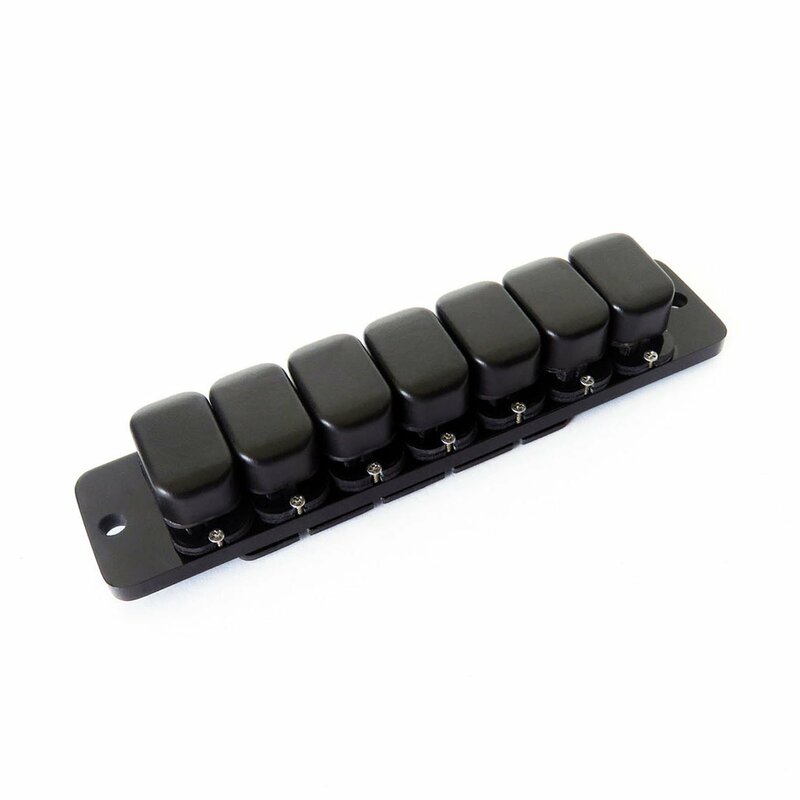 These low-profile, Neodymium-core pickups are modular and can be used individually or in groups. Cables and connectors not included. These are meant for hackers only. See Nu Series Data Sheet for detailed information.